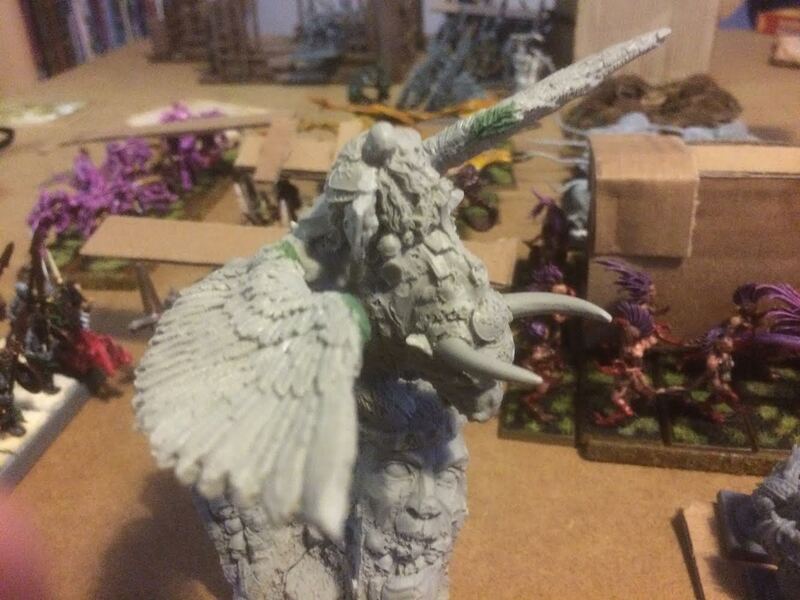 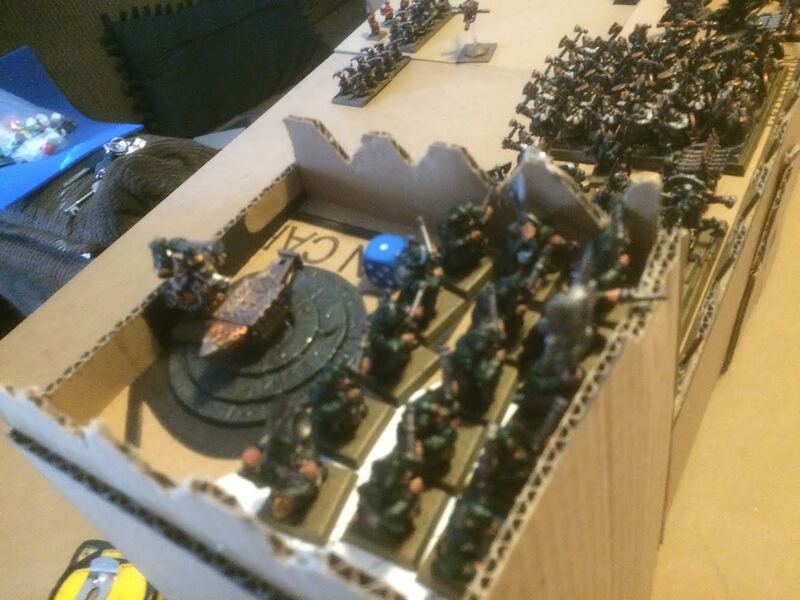 Back, and this time with a number of pictures from the big siege game my local club had recently. 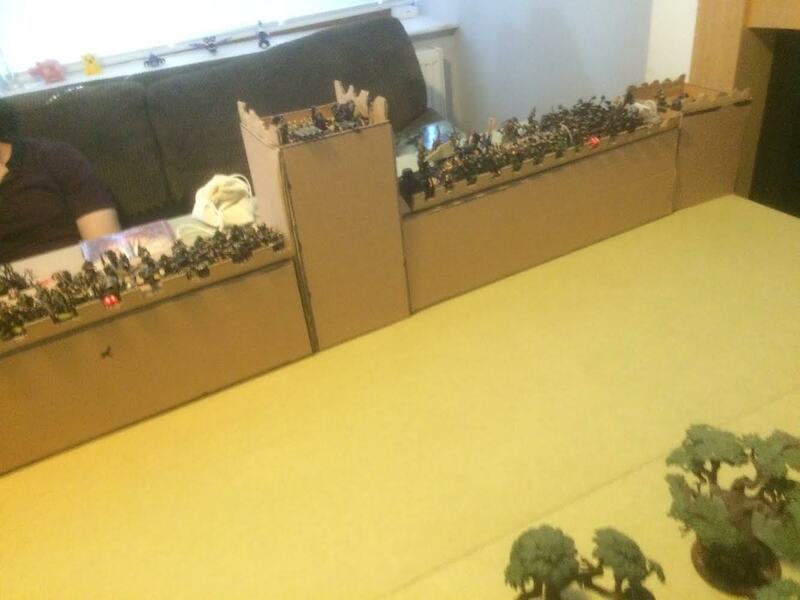 We had a few minor wobbles, with one of the players dropping out unexpectedly at the last minute, the venue having to be changed the day before, and being without a castle due to illness, but after a couple of hours of frantic Blue Peter-esque cutting and sticking we were ready to play. 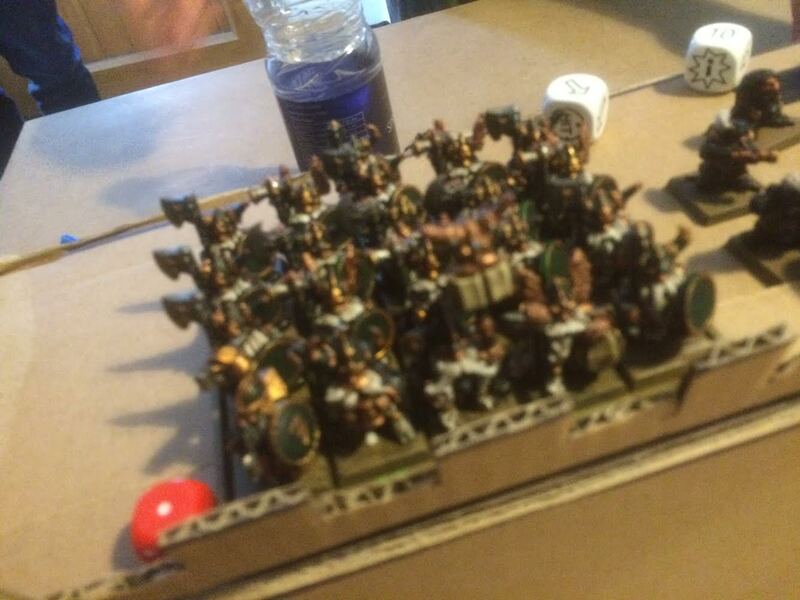 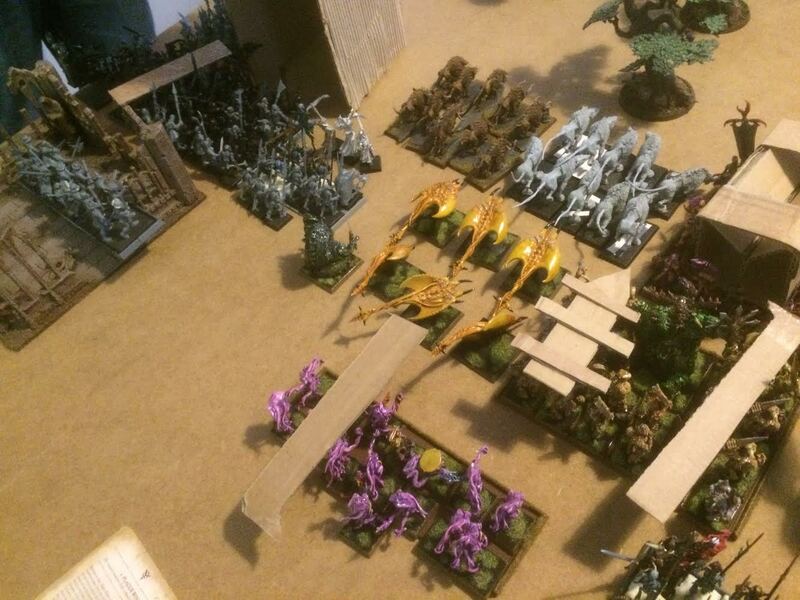 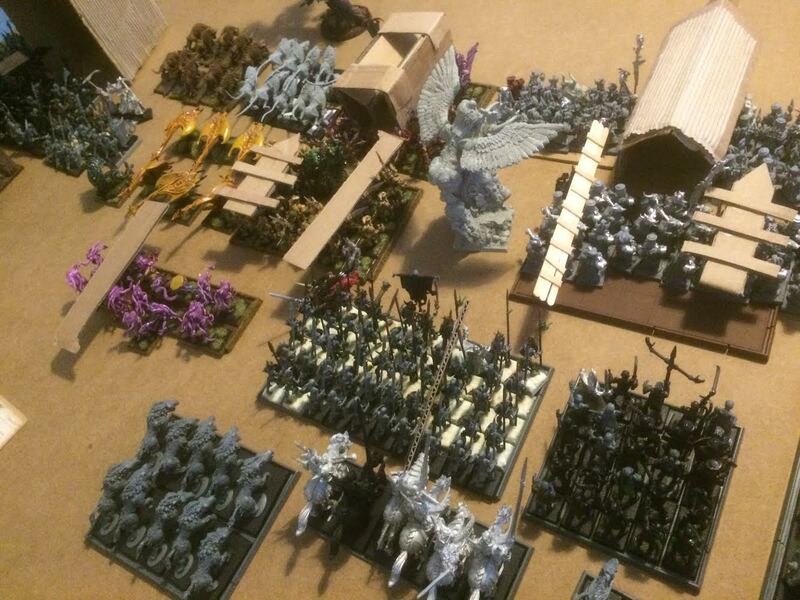 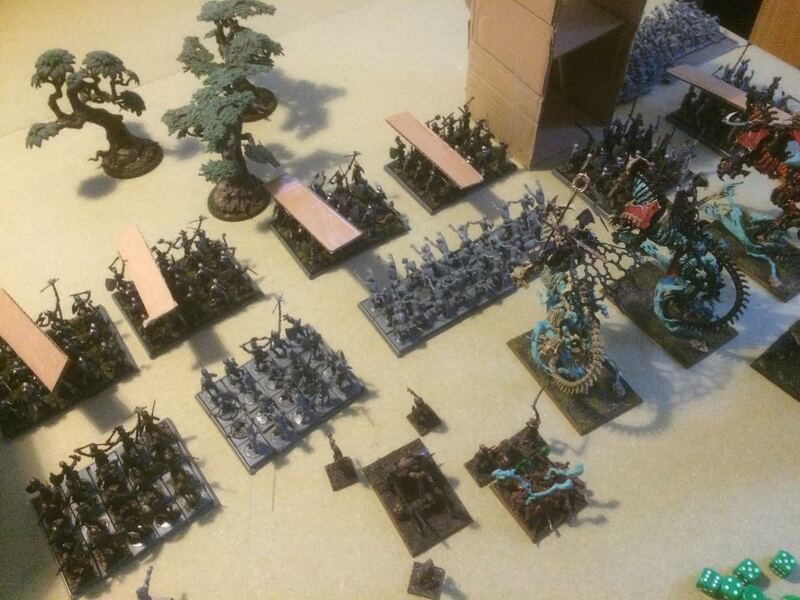 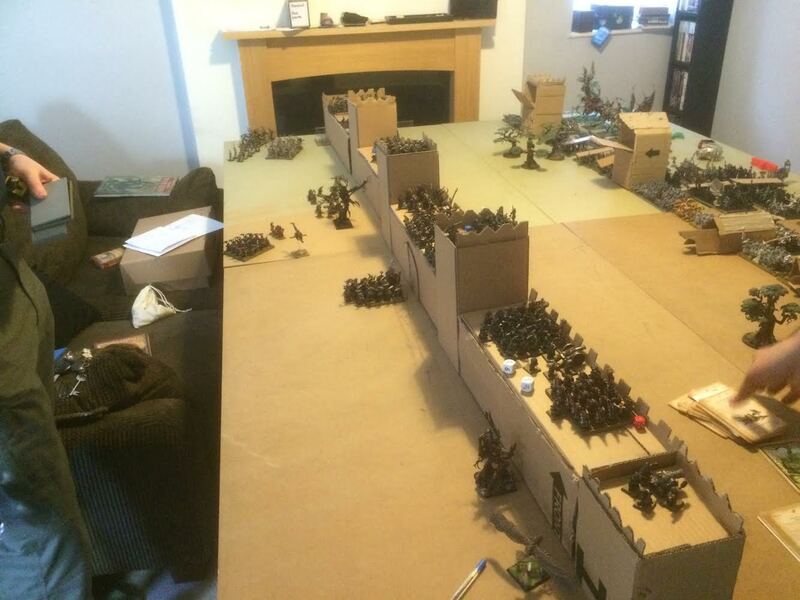 The sides were 15kish of Undead / Daemons / Chaos Dwarves versus 10kish of Wood Elves / Dwarves. 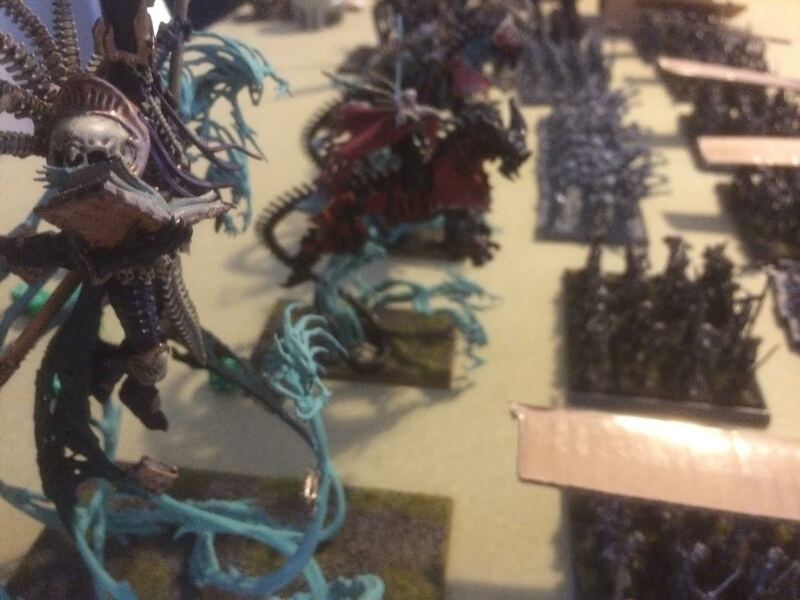 And the big man himself, Nagash! 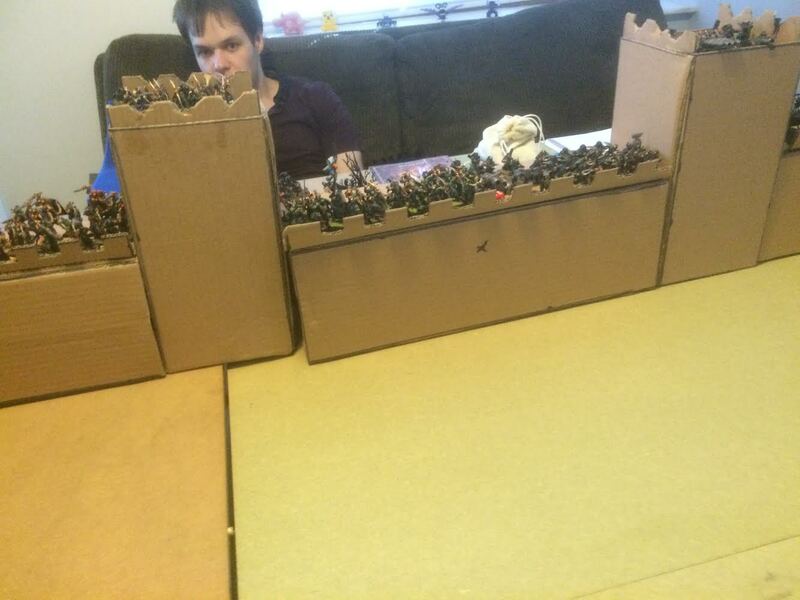 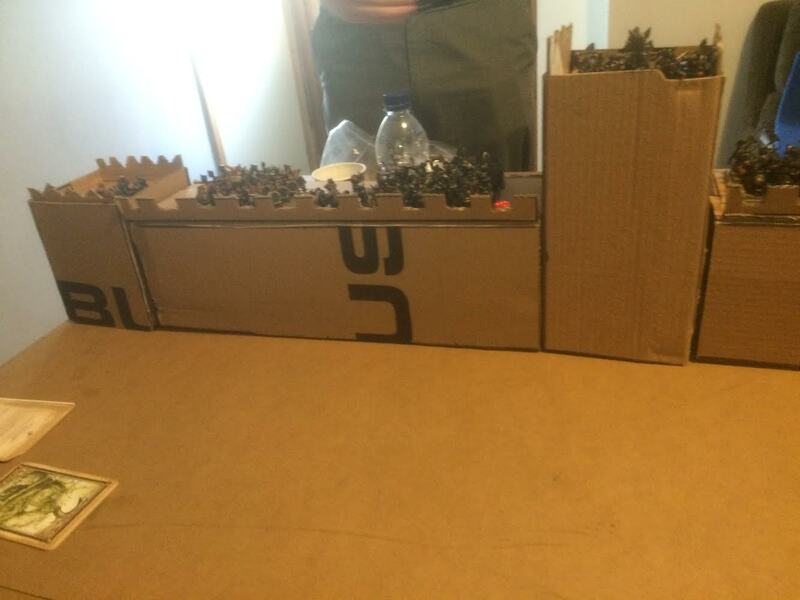 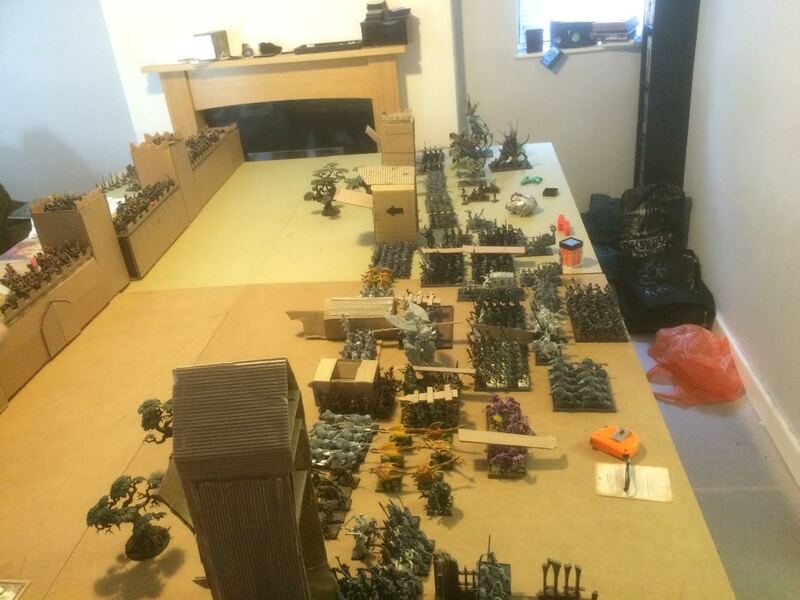 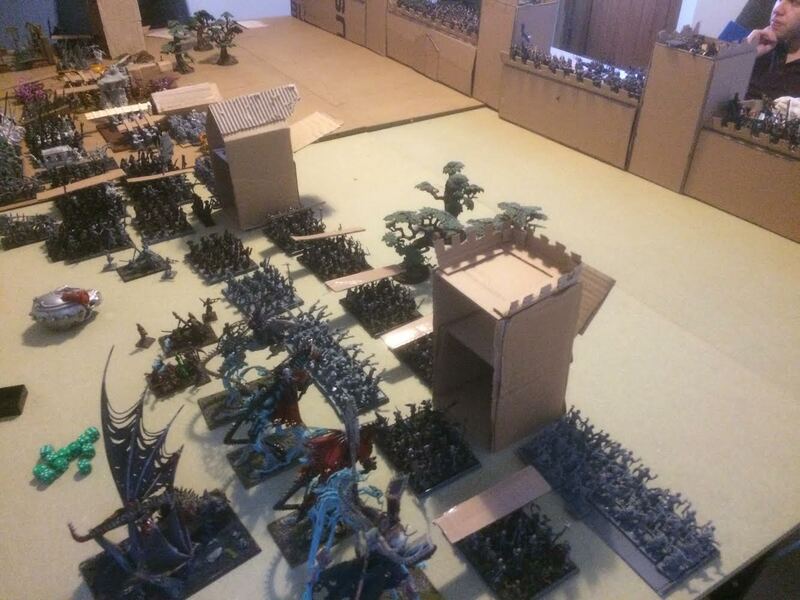 Some deployment pics, note the hastily built siege towers! 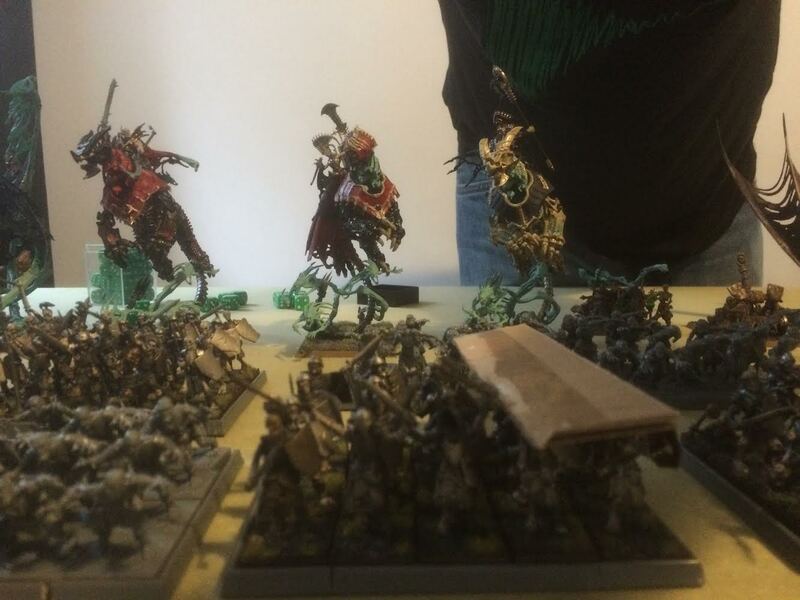 There are about 50 more pictures, so please click the Read More below! 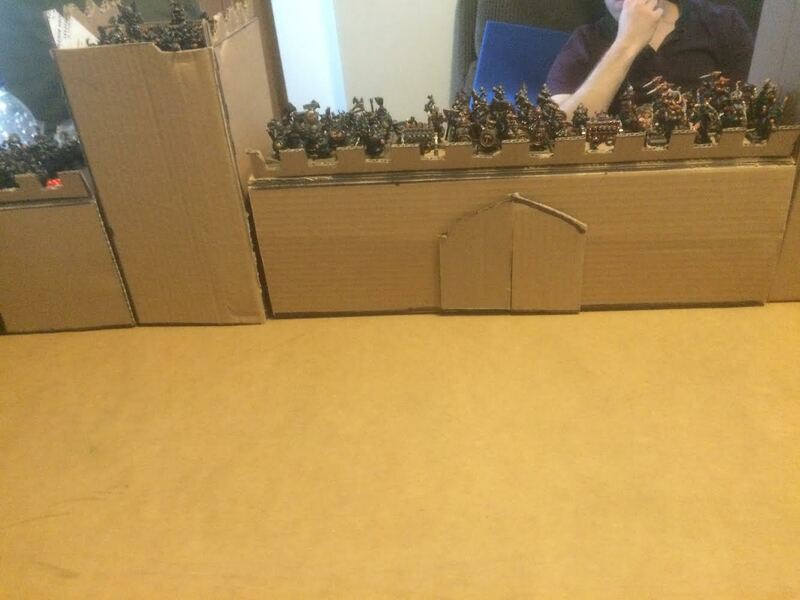 Meanwhile the gate piece has a concentration of force – Ironbreakers, Warriors, Archers, and two fearsome Organ Guns! 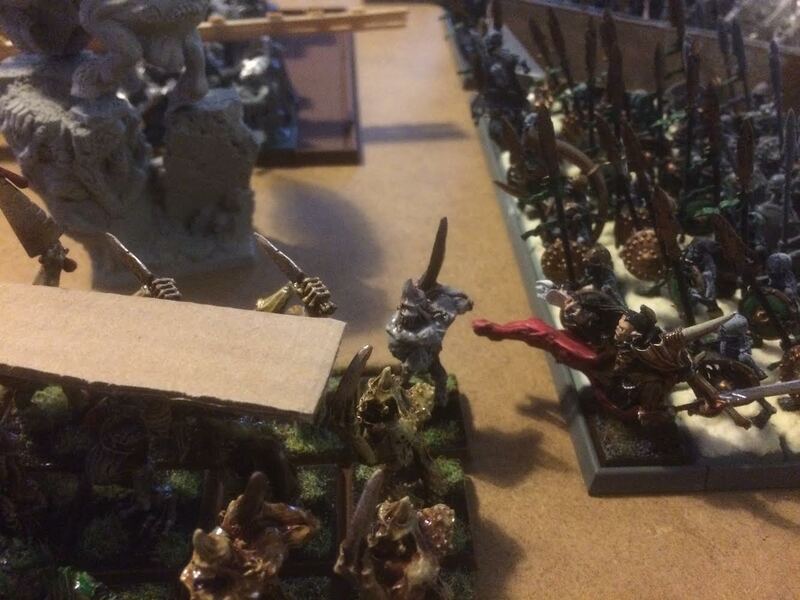 So, with that the armies were ready to advance!